snowflakes drifting down from the frozen sky. By this time we had gone around the summit past the amazing view of the Continental Divide and heading back east toward the rising sun. The snowflakes were glittering in the sunlight and it was like we were walking through diamond dust falling from the cold blue heavens. We often experience that phenomenon up at this elevation. I guess this high we are actually in thin clouds sometimes and it is so cold that the moisture in the sky is literally frozen and falling out of the sky. If we were lower we would be looking up at a snow cloud but from here there is snow falling on a clear day. Well anyway, it was an amazing scene to see it in the morning light that way! Also today I read a heartbreaking story called the Unnamed Foal. It was a story in my inbox about a foal that had died from shock in one of the cruel and violent BLM wild horse roundups. These beautiful creatures are literally dying from greed. Welfare ranchers in the west grazing their cattle on public land can’t stand the idea of sharing with a few of our wild horses collude with the government to have them rounded up and slaughtered. There is no excuse for it and it is just pure greed driving it. Please consider liking and giving to the American Wild Horse Campaign to try to save our wild horses. If someone doesn’t do something some day all of these magnificent creatures will be gone. On a more positive note, our Yellowstone wolves hit the big time. High profile exposure on 60 Minutes in a segment called the Wolves of Yellowstone gives me hope that the good people of this country are finally catching on to the value of our wild animals! Doug Smith, researcher and spokesman for the park was asked if the wolves knew to stay in the park to which he explained that these wolves don’t know about hunters and they don’t know where the park boundaries are. Not a lot of people know that hunters wait just outside the park boundary for a wolf to step just a couple of feet over the line where they are then shot dead, robbing from thousands of park visitors the joy of seeing a famous and beloved animal forever. What is worse, the hunters often locate them with the very radio collar placed on them at great expense by the park researchers to study and preserve them. Please write to your congressmen to demand a buffer zone between the park and the selfish miscreants who seek to kill them. 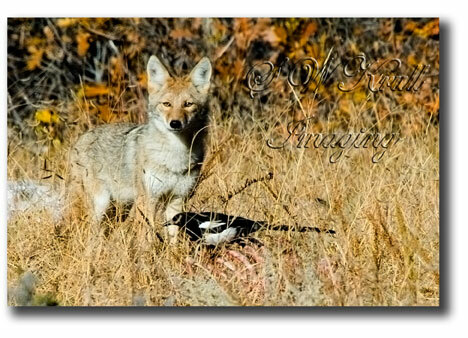 As always, these photographs and more are for sale on my website as wall art and cool household and gift items. But I just want to throw this out there, if wolves can thrive in Yellowstone, why could they not thrive just as well in Rocky Mountain National Park? Both are huge tracts of rugged land mostly inaccessible to people, both good habitat for wolves. Every year I have to hear the state wildlife people whine that there are too many elk in Rocky, basically they have no competition. The elk there just lay around all the time, sometimes causing traffic jams on the highways and sometimes just wandering into town to hang out with the tourists. I have read accounts of how wolves have entirely renovated the landscape in Yellowstone once they began to thrive in significant numbers. The elk and deer herds became stronger as the animals were forced to move around and the wolves culled the weaker members. Aspen trees are healthier, forest grasses taller, and because coyotes and fox have to move around more there are more rodents for the eagles and hawks. The entire ecosystem is healed in a process called Trophic Cascade. Tourists and photographers come from all over the world to view the animals in Yellowstone, immensely benefiting local economies. It seems that Rocky Mountain National Park would benefit from the presence of wolves as well. Just throwing this out in hopes that like minded people will join and bring the miracle of wolves to my state. Sure, we might get some argument from the surrounding ranchers but it is my contention that the world does not need those ranchers or their cattle, many of which are living on and spoiling the federal public land experience for others who would also enjoy that land. Perhaps they could learn non lethal wildlife management or just sell some land to create buffer zones between the park and their ranches. And once again, since the Obama administration caved to the hunting and ranching lobby in Washington, wolves have been unjustly removed from the Endangered Species List. Please go online and donate money, sign petitions, call congressmen, and do whatever it takes to get our beloved wolves (and grizzlies) back on the endangered list. If you don’t know where to find those lists and petitions, please visit my Facebook page dedicated to the preservation of our precious wildlife. Winter 2015 is winding down but you wouldn’t know it by going outside. Snow and subzero temperatures last night felt more like January but nevertheless, March is only a week away and with that a quick couple of weeks to the official start of spring. This week finds me busy on several fronts, including the wrapping up of my review of the Vasque Breeze 2.0 GTX Hiking boot. Feeling kind of sad about completing that project, it was a blast and testing the boots was giving me a good excuse to get out in the great outdoors and wander around. Now I will have to make up some new reasons to get out and about. Speaking of the article writing endeavor, it looks like I am going to get a new opportunity. The Examiner has invited me to work on a program where top examiners will be covering local events for the CBS Local website. Unlike regular articles, these will pay a flat fee and must be reviewed through the editing process. I am confident about this though as I am already familiar with the interface and have had a number of articles about the local running scene pass through the editors. So stay tuned, and we will see if I can become a famous CBS reporter! Also trying a new once an hour oxygenation treatment to see if we can beat back Tricia’s cancer. Time consuming but the initial results look promising and we are hoping to soon start dialing back the oxygen condenser. Have been watching the “Living With Wolves” documentary about Jim and Jamie Dutcher’s experiment with forming the Sawtooth Wolf Pack. I am absolutely captivated by the complexity and depth of feeling displayed by the wolves. Americans would do well to learn from the Nez Perce native American tribe who revered the wolf and sought to emulate the family bond and other admiral qualities of the wolf. I wish the gun toting rednecks who seek to destroy the wolf population had the humanity of wolves, including joy, affection and grief that the entire pack experiences throughout their short lives. In one particular sad segment of the show one of the pack was killed by a mountain lion and the mournful howling of the group was quite touching. Hunters, trappers and ranchers need to understand that the murder of a wolf results in hardship for the whole pack of wolves making it more, not less likely that the pack will need to turn to the easy prey of livestock instead of more difficult prey that a more effective pack could pursue. I think if more people watched this video there would be a lot less hatred of the animals and perhaps they would be placed back on the endangered list everywhere. There was a bit of progress the other day when the Department of Fish and Game did put the wolves back on the endangered list in several states. However my joy at seeing the news was tempered by the news that a republican senator has introduced legislation to reverse the decision by the federal judge and restart the mindless slaughter. I hope the grass roots effort that resulted in the federal decision in the first place will rise up again and dissuade the republican congress from once again thumbing their nose at the people they are supposed to be representing. Happy New Year… 2015! 2014 is behind us and we have a whole new year took look forward to. I do so with some trepidation however, as each successive new year seems to come with a new wave of problems to deal with. I actually started my 2015 celebration by taking advantage of the cold and snow day on Nov. 29, 2014 with a look back at my images from 2014. Using Photoshop, I browsed every photo session from 2014 looking for good examples of each for my 2014 review. I created a new photo album for my S. W. Krull Imaging Facebook page to contain these images and also started my iStock 2015 year off with a bang by uploading that batch there as well. It started out to be a pretty good year with some good photo shoots of snow and wildlife in the Pike National Forest and some hikes to Bald Mountain to look at Pikes Peak from above the tree line on the other side of the valley. The year finished with a bang as well with several excellent photo ops here in Woodland Park, including the USA Pro Challenge, a Veterans Motorcycle Rally, the Cruise Above the Clouds car show, Oktoberfest and Apache the wolf at Native American Day. 2014 was a pretty good year for my Examiner role as I finally achieved “Newsworthy” status there by reporting on the previously mentioned events here in the City Above the Clouds. I also finished 2014 up with a couple of Examiner articles, one discussing the 2015 racing schedule and another about making a New Year’s Resolution to run instead of packing on more pounds for the rest of winter. 2014 turned into a pretty good year for the wolves with a couple of surprising developments at the end of the hunting seasons when federal judges finally ascertained that the states were not honest stewards of wildlife they had been entrusted with. Wolves in four of the worst killing states have been placed back under the protection of the Endangered Species Act. Other more progressive states such as California are working to assure that the wolves receive adequate protection from trophy hunters and trappers. My hope is that in 2015 trapping will be seen to be the barbaric and unnecessary practice that it is and the majority of people with good hearts will lobby hard for it to be banned for good in the U.S. Unfortunately my aspirations were slowed a bit at the end of 2014 when my trusty camera bought the farm, but it was probably getting time for a new one anyway. My rule of thumb is to get a new one when I can double my megapixels. My Canon 40D had 10mp sensor and if I am not mistaken the 70D and 7D MkII both have 18mp sensors, which is close enough to double the 40D especially considering the advancements in technology that has occurred since 2008. I am excited to see what new capabilities I will acquire with the new technology. Also in 2015 I hope to score a copy of Adobe Light Room. I have been struggling along with an old version of photoshop for years now and have been salivating at the color management tools available in the new software. And of course I hope 2015 is filled with many exciting photo ops. 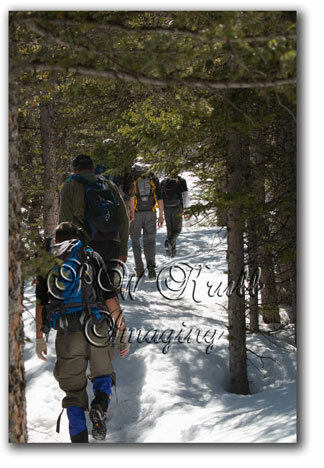 The Lost Creek Wilderness has long been on my to do list and perhaps 2015 will be the year. 2015 is looking like it is going to be a great year. I am hoping the best for myself and my friends as well. Happy New Year! The Winter Solistice, the event which converges all the forces of orbit, angle and rotation to bring about the end of the Northern Hemisphere’s plunge into the darkness of winter will officially hit Colorado this afternoon at 4:03 p.m. Mountain Time. The science of it all is complex, but for me it is simple, the sun will begin it’s travel northward and our brothers and sisters down under will be saying g’day a bit later each morning for the next six months. It may be insignificant to some, but for me the Winter Solstice is my new year. I despise the short days and the long hours of darkness that disrupt my whole outdoor lifestyle, and just knowing that each day is a little longer gives me a lift on this day. With Christmas and the calendar New Year holidays approaching I know the rest of the month will pass quickly and 2015 will be upon us before we know it. As January wears on the days will become noticeably longer and here in Colorado it means that the chances for many days of extreme cold are numbered. Of course at 9000 feet of elevation it will continue snow well into April and sometimes even May but I can handle that. It’s the below zero stuff that I experienced in my youth that I find most difficult to bear in my old age. I have to say 2014 was an eventful year and unfortunately not such a good one. I experienced the loss of my beloved friend of 17 years, my border collie Sweet Pea. A lot more time was spent shuttling back and forth to hospitals than I expected and my stock photo business took a bit hit with the resulting diminished time spent on it along with the eventual loss of my main camera. But there were some high points as well. 2014 was the year that I finally got my framing and printing website underway and also began writing in earnest for the Examiner. 2014 was the year that I started this blog and finally got my Linked In and Twitter profiles set up and working well for me. In 2014 I met new friends and was adopted into a loving church family that has given me the strength to continue moving forward in the face of loss and hardship. And almost unbelievably, after hundreds of facebook posts, blogs and Examiner articles, word came in yesterday from my fellow wolf warriors that wolves in some of the worst wolf killing states of all had been placed back under the protection of the Endangered Species List in the Great Lakes Region after having been betrayed by the Federal Government years ago. Now at the end of 2014 I am gratified to report that wolves in a total of four states comprising some of the worst violators of the spirit of the law have been brought back under the protection of the ESA. Oregon and California are already taking steps to assure that wolves in those states will not face the atrocities perpetrated upon them in other places. With the advent of longer days and more sunshine I am hoping that 2015 will be a great year. It appears that many of the changes implemented by Getty / iStock, including the introduction of the subscription license, are beginning to take effect as the long drain on the customer base is reversed and buyers return from sites where they took their business in quest of more price options. I have begun to scout out new camera models, comparing prices and specifications while keeping an eye on the calendar looking forward to events I might attend to photograph and write about. Maybe 2015 will be the year I can organize a tour of the Wolf and Wildlife Center in Guffy and maybe I will finally get to travel across the high plains of southern Colorado to attend the great whitewater festival along the Arkansas in Salida next summer. Maybe I will travel to the Lost Creek Wilderness and take some of the hikes described in the book I bought last winter at this time. This afternoon as I write I am looking out of the big window in the reading room of the library it looks like the peak is wearing a halo. The mountain is a temperamental lady though, one minute she is the most beautiful thing you have ever seen and the next she seems like she is trying to kill you. 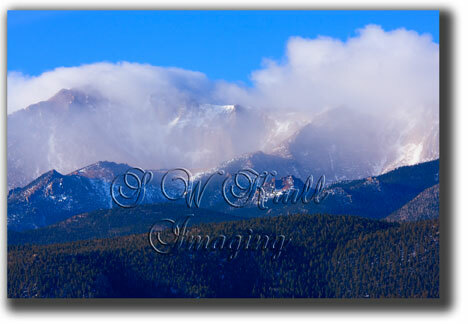 The forecast has called for a snowy solstice this year and I can’t think of a more appropriate way to reflect on the end of the solar year in 2014 than fresh snow on Pikes Peak. Here’s to a great start to the new solar year! Fall has come to an end and winter is nearing its official start as the solstice nears. There was however time in the season for the Wolf and Wildlife Action Group (WWAG) to make one more Peaceful Civil Disobedience Action (PCD) trip in an effort to help wolves in Wisconsin. Fortunately there was a Colorado angle to the story as one of our own attended the action and gave me a reason for an Examiner report on the trip. Wisconsin is one of the worst wolf killing states of all, allowing and even encouraging the barbaric practice of hounding. I sincerely hope the PCD and the ensuing media attention will give considerable help to the wolves. The winter running season in Colorado is nearly upon us as winter racing series are starting up in January and running through the winter with increasing distances in an effort to help people build up their endurance for the busy summer marathon schedule. 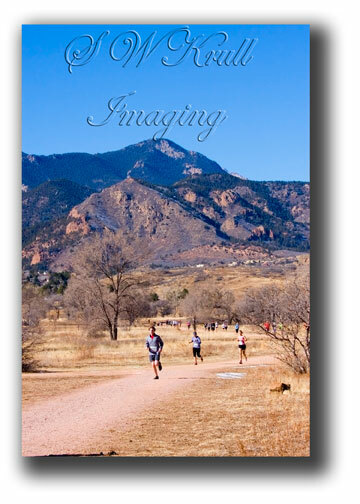 I am currently engrossed in various running calendars trying to come up with a guide to the best runs in the Front Range which I hope to be able to publish on the Examiner by Christmas. With any luck, my report will coincide with some white stuff so we can have a white Christmas to enjoy along with my winter running report. Be sure to subscribe to my Examiner news feed so you can receive notifications immediately as I publish new articles and updates.